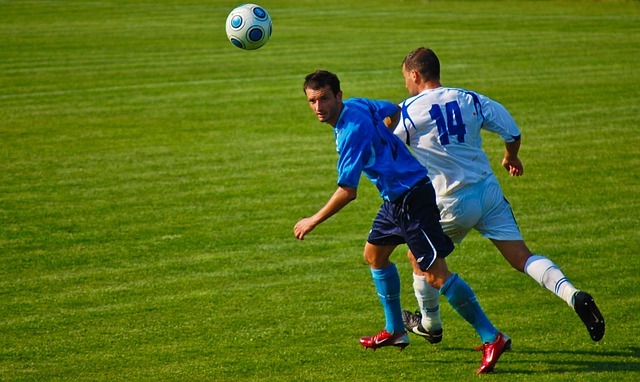 Many athletes don’t like artificial turf. They say it’s hot, uncomfortable to run on, causes burns when you slide or fall on it, and changes the way a ball moves. Professional women’s soccer players even started a lawsuit over FIFA’s decision to use artificial turf in the 2015 Women’s World Cup. Soccer players on natural turf. Some universities—including Brigham Young University—have responded to athlete concerns by using natural turf fields for practice and in their stadiums. But the challenge is to develop plants and management practices for natural turf that help it stand up to frequent use and allow it to perform well even during the difficult fall months. It’s a perfect research opportunity. BYU turf professor and manager of BYU sports turf, Bryan Hopkins and his colleagues in the Plant and Wildlife Department, have been able to set up a new state-of-the-art facility to study plants and soil in both greenhouse and natural conditions. The facility includes a large section of residential and stadium turfgrass. 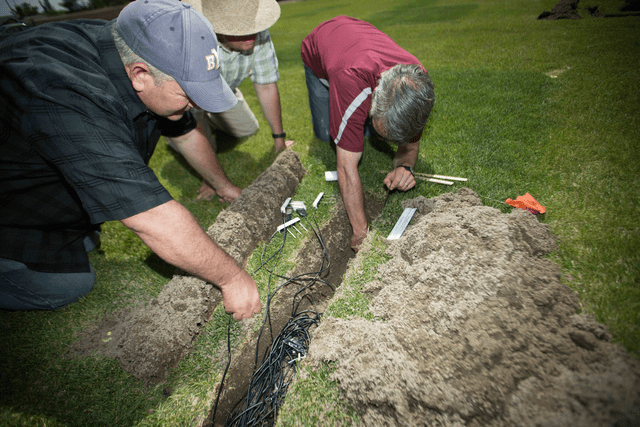 Initially, BYU maintained the turf farm grass on a standard, timer-based irrigation control system, but over time they realized that understanding the performance of their turf relative to moisture content and nutrient load is crucial. Last year during Memorial Day weekend their turf farm irrigation system stopped working when no one was around to notice. During those four days temperatures rose to 40 C (100 F), and the grass in the field slipped into dormancy due to heat stress. In response, Dr. Hopkins began imagining a system of soil moisture sensors to constantly monitor the performance of the turf grass. He wanted not only to make sure the turf never died but also to really understand the elements of stress so they could do a better job growing healthy turf. 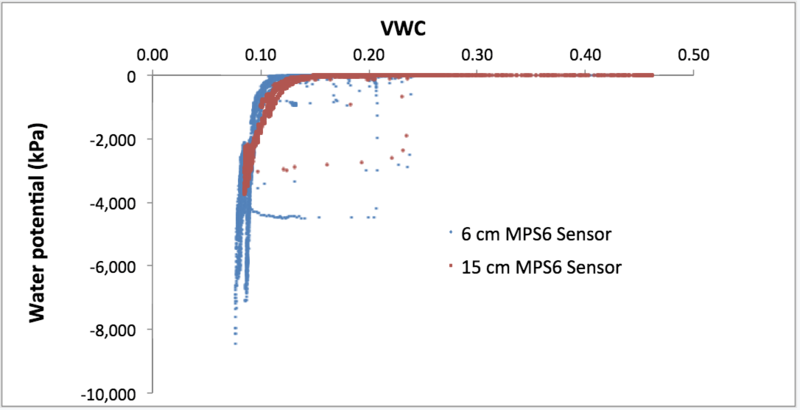 Soon afterward, a team of scientists, including fellow professor Dr. Neil Hansen, installed volumetric water content (VWC) and matric potential sensors at two different sites: one in the sports turf and one in a residential turf plot. 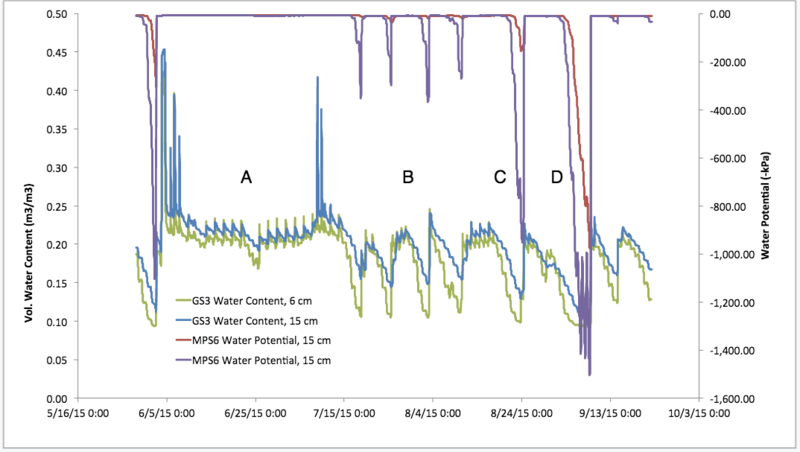 Each plot had two installations of sensors at 6 cm and 15 cm, along with VWC only at 25 cm, to measure water moving beyond the root zone. Combining these measurements, they could clearly see when the grass was reaching stress conditions and how quickly the turf went from the beginning of stress (in terms of water content and time) to permanent wilting point. In addition, ancillary measurements of temperature and electrical conductivity provide an opportunity for modeling surface and root zone temperature as well as fertilizer concentration dynamics. Installing water content sensors at the BYU turf farm. What’s happening with the water? Are Arduinos Practical and Cost Effective for Science?